As one of the most popular online video sharing sites, YouTube is well designed to entertain our leisure life with which you can enjoy music and videos you like the best, upload any original content made by yourself and share it with your friends, family and even the world. Apart from that, you can also get to know what are hot and what have attracted much attention from both home and abroad at present moment so that you can go ahead of the fashion circle. You must have watched some favorite videos and listened to special music which give you deep impression on YouTube. What is known to us is that nowadays it becomes stricter to control copyright. You cannot download music and videos from YouTube with ease as before, which will let you down and fall into a depression. To make you easily enjoy all YouTube videos and audios on any other devices, here comes a professional YouTube video recording application. That is Joyoshare Screen Recorder. You must have heard some similar YouTube screen recorder before. 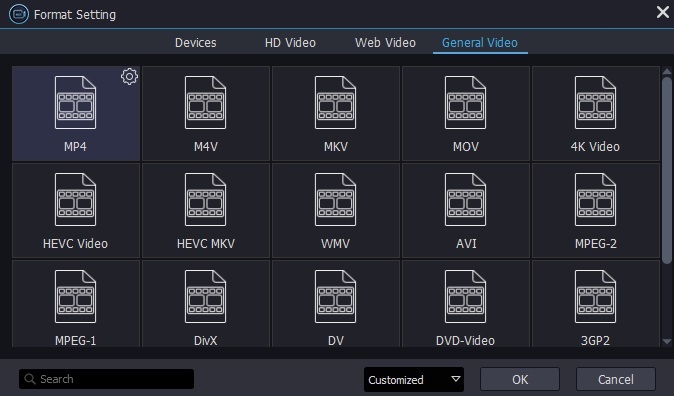 But why Joyoshare Screen Recorder is unique from others? As an all-in-one screen recording app, it has adopted the top-leading screen capturing technology so that you can record any screen activities, including both video and audio, without any misgiving of damaging original video quality. With it, you are able to record any area on your screen. No matter how large you want to capture, you can decide it according to your own requirement, like capturing in full screen, presetting it with standard ratios as well as customizing screen size. Generally speaking, Joyoshare Screen Recorder consists of YouTube video recorder and YouTube audio recorder. You can feel free to record any types of YouTube screen videos and audios. Most importantly, it can output the recorded YouTube videos and audios into any formats and on any devices. The typical popular output formats for YouTube video are HD MP4, AVI, MOV, WMV, FLV, MKV, SWF while for audios are MP3, AAC, M4A, M4B, WAV, FLAC. Besides, video recorder can support devices like iPhone, Andriod, Xbox together with smart TVs. Having captured your screen, it is capable of editing its ID3 tags and revise file name.It's also specially developed to allow you to set up relevant parameters flexibly. That means you are entitled to record YouTube audios and videos on the basis of your actual needs. 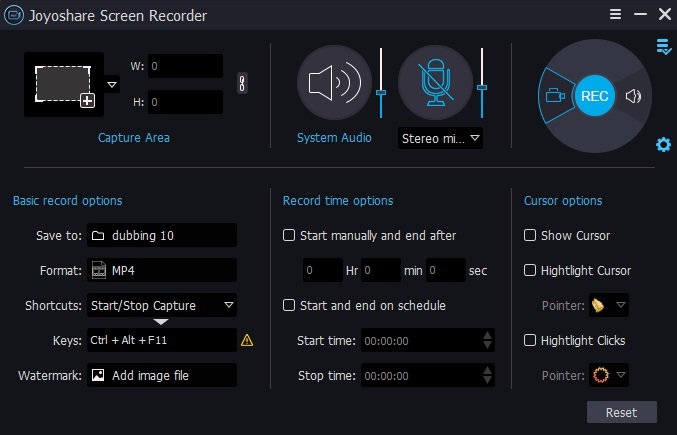 It has access to customize capturing size, decide whether to keep system audio or microphone sound, choose ideal format, create a scheduled task in advance and tick highlighting cursor, etc. How to record YouTube video with Joyoshare Screen Recorder? 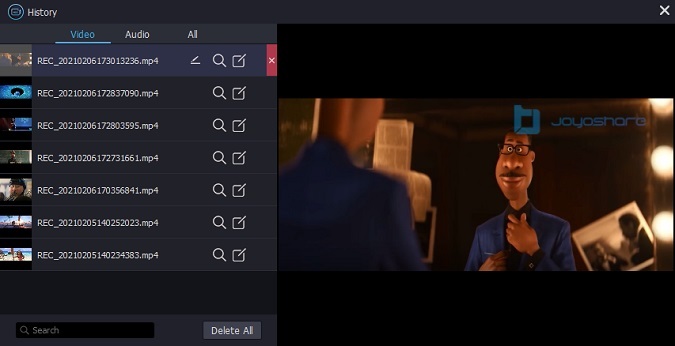 You can run Joyoshare Screen Recorder directly once you have installed it on your computer. By clicking "+" button on the upper left, there will pop up a window that can allow you to adjust capturing size manually. Or you can straightly choose standard ratios, like 320x240, 640x480, 1280x720, etc. Of course, you also have right to enter exact number in the frame to customize it with your style. 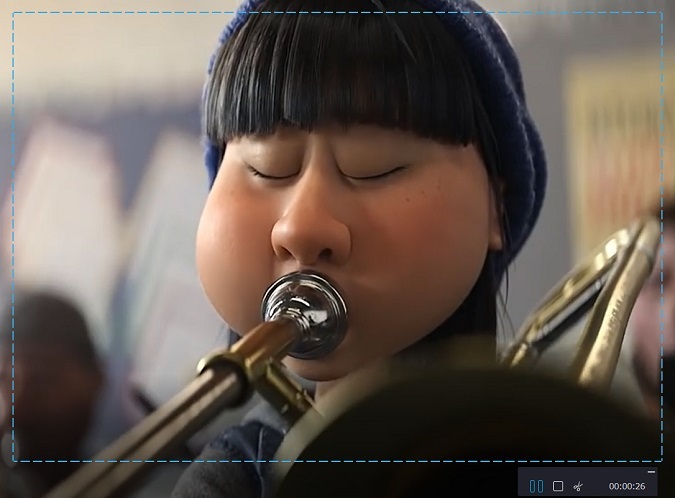 Note: To avoid unexpected sounds, you can close the system audio with only microphone sound left. 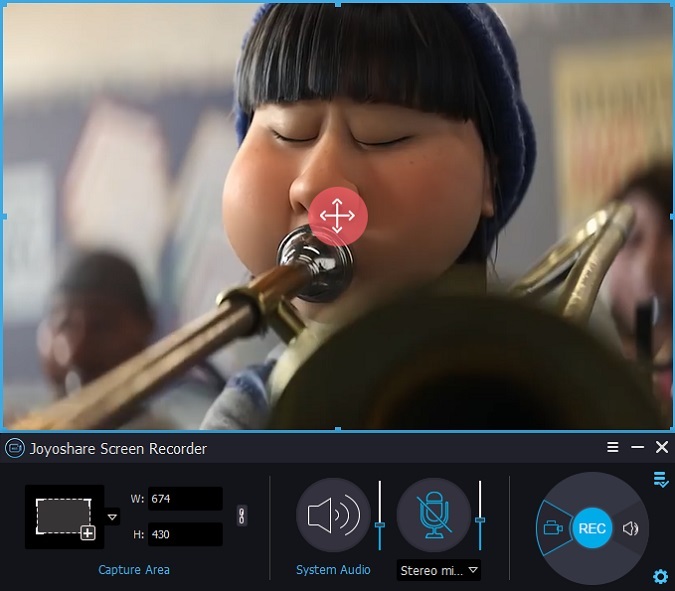 By the way, if you don't like to capture audio when record video, you'd better to close both system audio and microphone sound at the same time. Otherwise, you will get a destination file with not only video but also audio. Of course, if audio is captured, you can simply click the audio track icon which next to the red "REC". Clicking "Settings" gear icon, then the specific parameter will be presented in your sight, which enables you to set up storage place of captured files, output format, when to have shortcuts, a scheduled task, whether to highlight cursors and other available options based on your own preferences. Open your YouTube app or directly enter its online website and play a video you like. Then it's time for you to record it after you clicked "REC" button. During the period of capturing, screenshots can be kept as long as you want by clicking cut button. Upon the recording process is finished, you can preview your audio on the right part of "History" interface. Meanwhile, you can revise the name of it. More about audio, you have chance to edit its ID3 tags with write correct and specific information. You might be hesitated to decide which screen recorder to choose for recording YouTube videos when faced with so various types. However, the more you try, the clearer you know what you want. As long as you use Joyoshare Screen Recorder, it will give you a sense of reliability. Certainly, with the intention of better enjoying your YouTube videos on any other devices, you can also have more learning about all such kind of screen recorders in the market. Only by making comparisons can you find the one which is suitable for you. Hope this post can bring real benefit to you! If you would like to know more about it, you can kindly try the free version of Joyoshare YouTube Recorder so that you can verify whether it can capture your YouTube videos effectively or not.